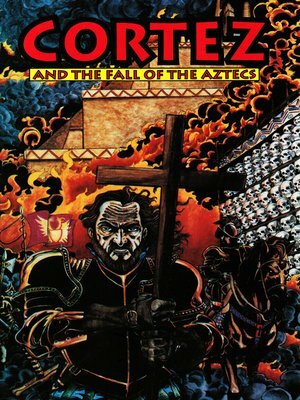 Called by the Los Angeles Reader, the finest example of graphic story telling they've seen, Cortez and the Fall of the Aztecs is a fascinating look at an empire just waiting to be devoured. Written by award winning comic writer Gary Reed under the pen name Brent Truax it is the saga of one man thirsting to conquer an empire against a ruler who tried to appease both his subjects and his gods. Cortez had unwittingly and unknowingly, stepped into the path of the returning God, Queztalcoatl. His arrival had been foretold for generations by the superstitious Aztecs and by the time they had discovered he in fact, was not the true God, it was too late. For Cortez had on his side, the belief in the three things at the time that mattered most in life....The King....God...and Gold.